Reflection, or better known in the development world as retrospective, can be a very positive approach to life. Not because it’s worth dwelling on the past, but as a way of learning and developing. At Amdaris, we are on a continual journey of learning and growth. Not just because it’s good business practise but because it’s part of an effective agile software development model; something which we live and breath. Following every sprint, we reflect and consider what we did well and what could have been done better; it’s part and parcel of what we do. This is why we would like to share a small reflection on the year gone by with our talented Amdarians, clients and our loyal following, as we also wish to share an exciting vision for 2019. 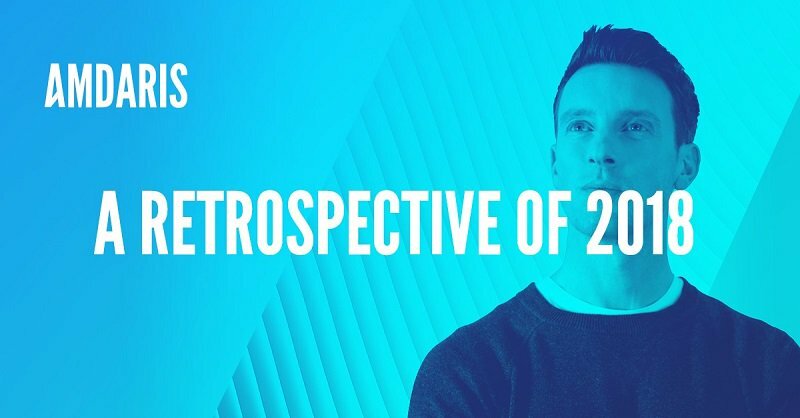 We want to take the highlights of 2018 and understand how we can do things bigger, and better, over the next 12 months. We had a number of great achievements last year, growing our headcount globally, progressing on exciting projects and kick-starting new ones. Our turnover doubled year-on-year, but these are just the consequences of hard-working and dedication to what we do. In 2018, we were recognised as a top ten employer in Moldova for the second year running, which was an incredible achievement and we hope to place again next year. But this wouldn’t have been attained it if weren’t for a series of other actions where this success was a result of those actions. It was our ability to continue to develop both individuals and teams within our business, which resulted in promotions and greater opportunities for each Amdarian. We moved to a stunning new office in the heart of Bristol. This was done to allow us to keep up our momentum of incredible growth; by giving us space for further hiring opportunities and a place where our clients can come and work with us in a collaborative environment. We continued to work on exciting projects with brilliant clients, and this carries on growing. But this couldn’t have been achieved without the exceptional teams and talent we have at Amdaris. Much like the agile software development lifecycle – where iterations feed new requirements; where learning feeds growth – our internal business structure thrives off of wisdom and knowledge transfer. We could easily look back on 2018, celebrate our achievements and just let 2019 take care of itself. But instead, we want to take advantage of this momentum and so we will continue to reflect, and allow the year ahead to be another exceptional sprint, which impacts a a wider business vision. To find out more about becoming part of the Amdaris journey, click here.